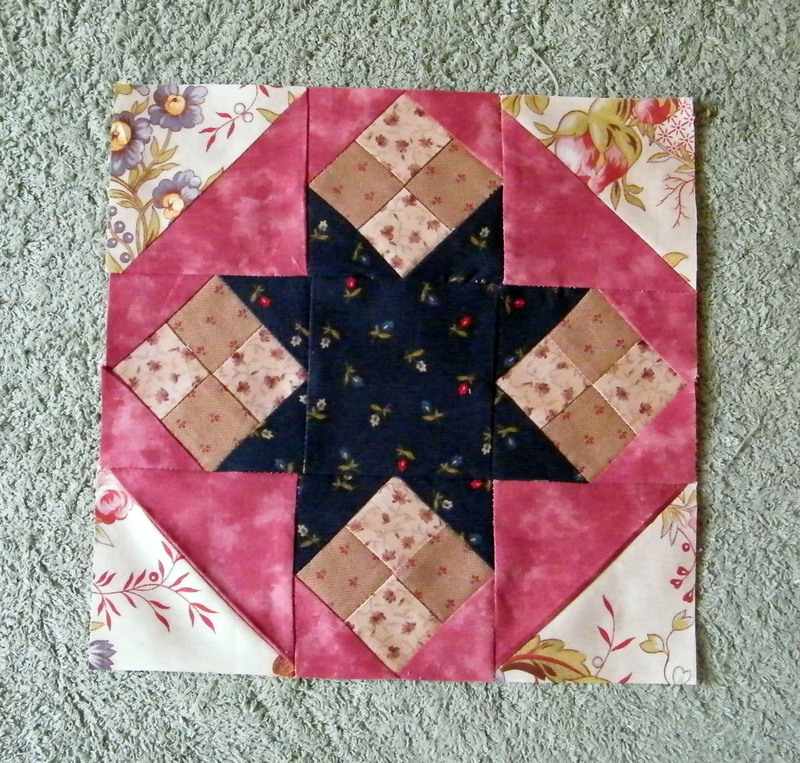 Didn't seem to have as much trouble with this block as the previous one, but it's still not really good. At the outside edge I now have the very scantest of scant 1/4" seam allowances. 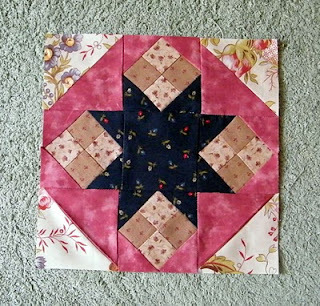 It is 8 1/2" square. Next time I am definitely going to allow 3/16" seam allowances on the outside edges to allow for trimmimg up when finished sewing. This time it might be an idea if I put a border around it straight away before it starts to unravel. One thing that I got wrong was the colour allotment. I find it hard to keep track of the colours with this light, medium-light etc descriptions. Somehow I even managed to unnecessarily add a fifth colour. Have to wait for the weekend now to see what BB has in store for us next.